"Why must we go to the Underworld to find love, and then let it go?" 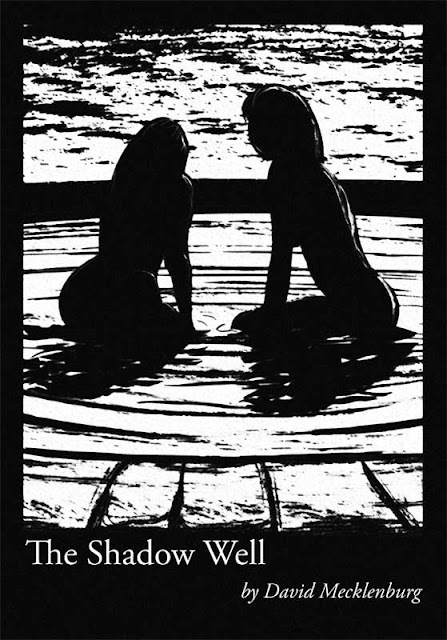 Composed of thirty-three narrative aspects, in words and images, The Shadow Well is a sensuous journey through blindness and regret, music and magic. Beginning with a girl who buys a new pair of eyes at The Carnival, and through to a birthday party when she is much older, The Shadow Well gracefully touches on the moments of life’s insight that can only be understood in the clarity and obscurity of dream. Friends and enemies appear and irrevocable decisions are made, revealing that dream, memory, and waking life are but three facets of our manifold existence. Each page of text has an accompanying illustration, or each drawing has an accompanying page of text… the reader is free to choose which aspect to linger over and the order in which the scenes are read. The result, we hope is a sumptuous dream that you can return to at your leisure and desire. This edition also contains the illustrated fabulist story “Let Me Fly Away;” where another heroine must find her way to sovereignty in the world in which she truly belongs. The Shadow Well has had a long and (often) tortured road to fruition. As a result, there are many people I must thank, and probably a few I will overlook, for which I apologize. So, thank you all. Jocelyn MacDonald who was my original development editor when this project was a sprawling novel without illustrations. Les Sardines was the writing collective who suffered under numerous drafts, of this work, along with space-time and narrative shifts. My parents and friends who helped me through the years. And especially Nisha Burkenfield, my Art Director and most honest critic.